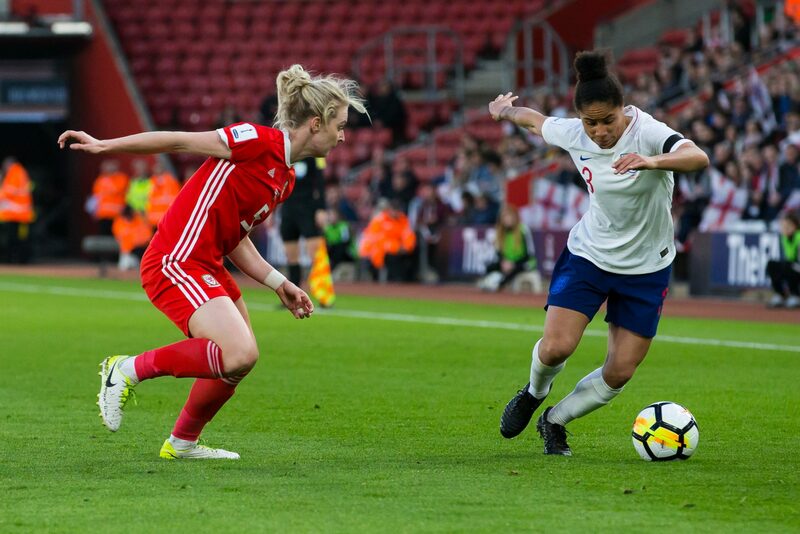 Pictured: England’s Demi Stokes takes on Rhiannon Roberts of Wales. Full-back Demi Stokes felt unwell following Friday’s goalless draw with Wales and has returned to Manchester City. Meanwhile, as part of the management of an ongoing injury concern, it was felt best to let Fran Kirby head back to Chelsea. It means the duo will play no part in Tuesday’s FIFA Women’s World Cup qualifier against Bosnia and Herzegovina. Goalkeepers: Karen Bardsley (Manchester City), Mary Earps (Reading), Carly Telford (Chelsea). 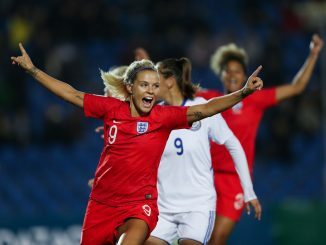 Defenders: Lucy Bronze (Lyon), Rachel Daly (Houston Dash), Gabrielle George (Everton), Alex Greenwood* (Liverpool), Steph Houghton (Manchester City), Abbie McManus (Manchester City), Leah Williamson** (Arsenal). 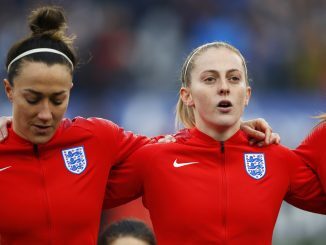 Midfielders: Isobel Christiansen (Manchester City), Jade Moore*** (Reading), Jordan Nobbs (Arsenal), Keira Walsh (Manchester City), Fara Williams (Reading). 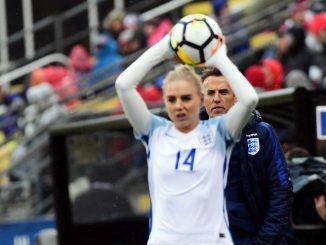 Forwards: Toni Duggan (Barcelona), Melissa Lawley (Manchester City), Beth Mead (Arsenal), Nikita Parris (Manchester City), Jodie Taylor (Seattle Reign), Ellen White (Birmingham City).